You probably already know they are one of the most germ-laden items in a house by any scientific study you can find on the topic. They're supposed to be replaced every 2 weeks in order to keep the mildew and bacteria growing inside them from spreading throughout your kitchen. 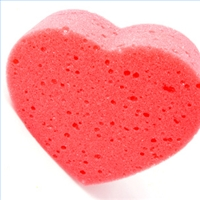 That funky smell you notice in your sponge is proof of bacteria gone wild. Here's how I keep mine sanitized, ODOR-FREE, and usable for 6-12 months. 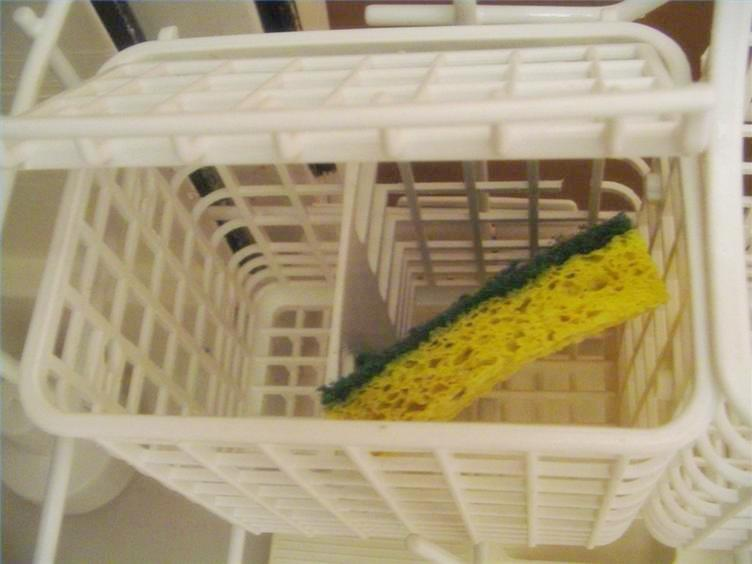 At night, when I load up the dishwasher, I rinse the sponge out to get most of the soap out. I throw it in the dishwasher in one of the utensil compartments with a lid. 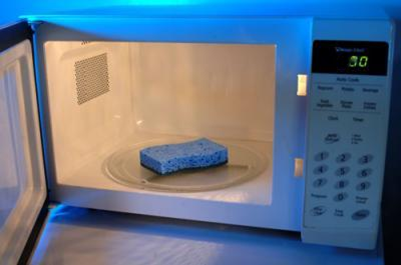 The next morning when I'm unloading the dishwasher, I throw the still-wet sponge into the microwave for 90 seconds. 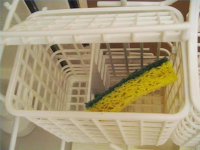 The dishwasher cleans the sponge, the microwave kills the bacteria. Neato, huh? carefully take out the sponge as it will be hot! 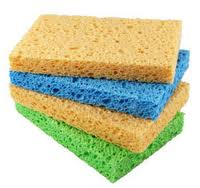 To further avoid kitchen yuckiness, never use the sponge for wiping counters and tables if it has already been used to scrub greasy messes, sop up juices from raw meat, or clean the inside of the sink. For this reason, I always have three sponges. There is always at least one clean sponge at the ready under my sink. 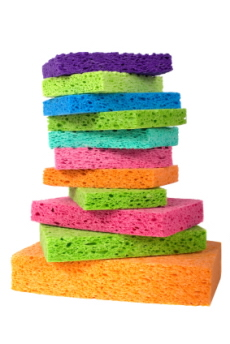 Now, you won't have to buy kitchen sponges but once, maybe twice, a year!